War Thunder and Rainbow Six Siege retain their positions in 1st and 2nd place respectively but this week's major upset is the game in the #3 spot: Banished - a game that came out of nowhere. 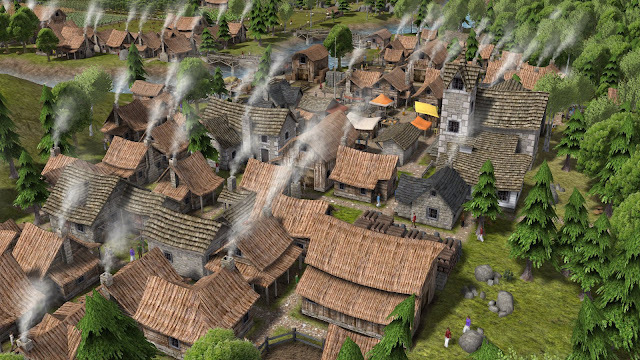 Banished is a city builder, one of my favourite genres, so you might find it quite surprising that despite actually owning the game, it's not me who actually played it over the past week (then again, you may not be surprised as you all know about my backlog of games aka "the pile of shame" :)). It sounds like fun and I'd really like to give it a go at some point... although probably not until I've played the next game on this list in 4th place: XCOM 2. Mass Effect is now in 5th place (down from 4th place) but that's probably because I finally finished the game (again) and have moved on to its sequel, Mass Effect 2, which you can see has also crept onto this list in 9th place. Superhero MMO Marvel Heroes hasn't moved this week and remains in 6th place while Everyday Genius: SquareLogic has dropped to 7th place despite previously being in 5th place last week. Pictopix still remains on the list in 8th place (down from 7th place last week) and right at the bottom we have NBA 2K16 (and not the first time it's made this list).